Welcome to the Zero Energy Project! 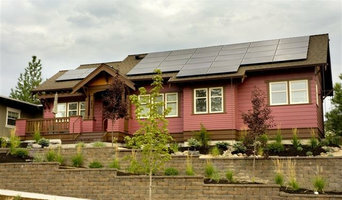 Please visit our website at <a rel="nofollow" target="_blank" href="http://www.zeroenergyproject.org">http://www.zeroenergyproject.org</a> for a wealth of information and resources about zero energy homes and buildings - high performance structures with no energy bills and no carbon emissions. Zero energy buildings are not just environmentally friendly - they also cost less to own. Zero Energy Homes is a non-profit organization to help builders, designers, the real estate industry, home owners and home buyers reduce their carbon emissions by building Zero Net Energy, Zero Energy Ready and Positive Energy Homes. Our mission is to show that Zero Energy Homes are both feasible and affordable and are an important step in reducing carbon emissions. Our website provides education and resources for building, retrofitting, buying, selling and owning Zero Energy Homes. We list architects, designers and builders that specialize in Zero Energy or Zero Energy Ready homes, as well as timely articles, how-to's and resources for designing and building Zero Energy Homes. Our YouTube page includes timely videos about the benefits of Zero Energy Homes as well as practical building techniques for builders and contractors. The Central Oregon Builders Association (COBA) is the region’s leading authority and driving force behind the promotion, protection and improvement of the building industry. This role is important because the building industry as a whole makes up a significant percentage of our region’s overall economy, and a wide variety and large number of stakeholders are affected by the industry's health and success. COBA is committed to supporting quality craftsmanship and community stewardship. We promise our members that we will always provide responsive service and a solid value for their investment, and that we will represent their interests to the best of our ability. We promise the general public that we will always encourage and support best practices and ethical behavior by our members when doing business within this association and with the public. The High Desert Design Council (HDDC) supports and promotes Central Oregon’s professional applied and decorative arts community. Founded in 2009, The HDDC is a non-profit business association with more than 60 members committed to integrity, design excellence, and sustainable practices. Interior designers and decorators, architects and building designers, builders and landscape architects, designers, artists and industry partners are encouraged to join. In support of its members, the HDDC offers promotion and marketing opportunities, seminars, and venues for industry networking. To serve the public at large, the HDDC publishes an online member directory, promotes instructional seminars and demonstrations, and provides donations and support to local charities through annual philanthropic projects.